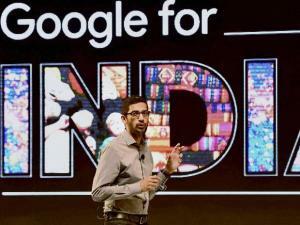 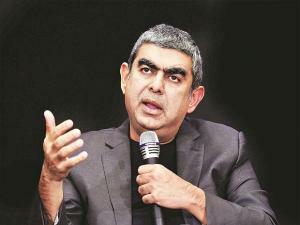 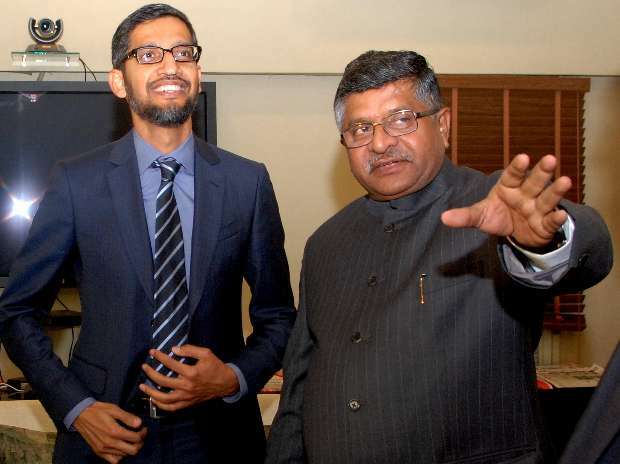 Google CEO Sundar Pichai gestures during a news conference in New Delhi. 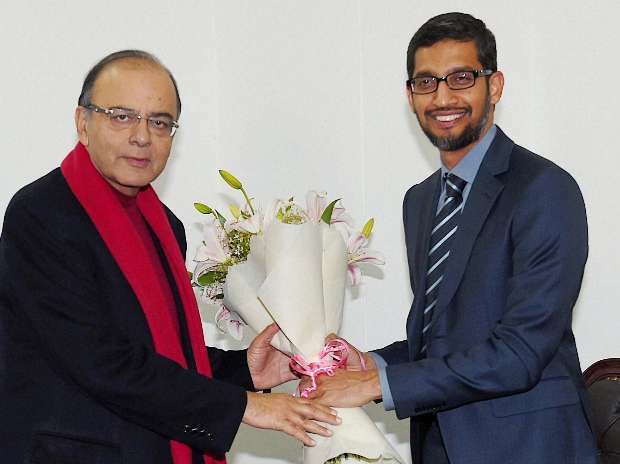 Google CEO Sundar Pichai greets Union Finance Minister Arun Jaitley at his office in Parliament in New Delhi. 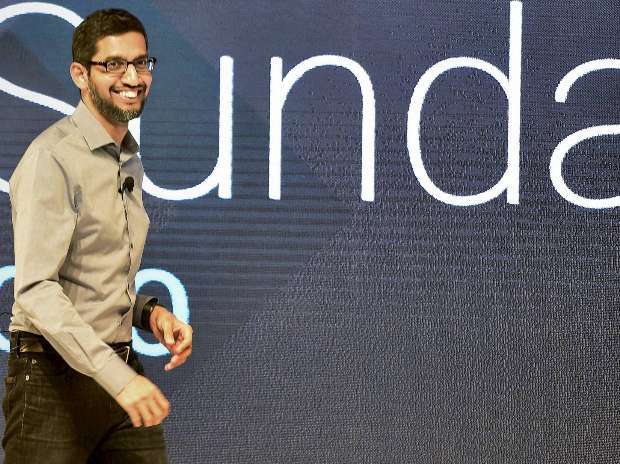 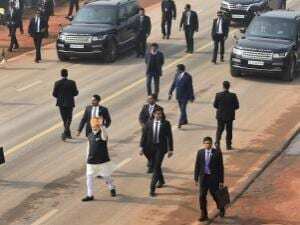 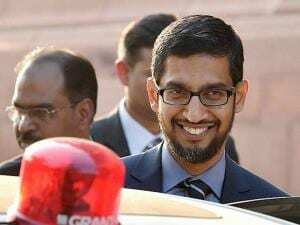 Google CEO Sundar Pichai arrives to address a news conference in New Delhi.